What surprised me about Hull House, headquarters for one of the country’s first community social welfare agencies, was its opulence. 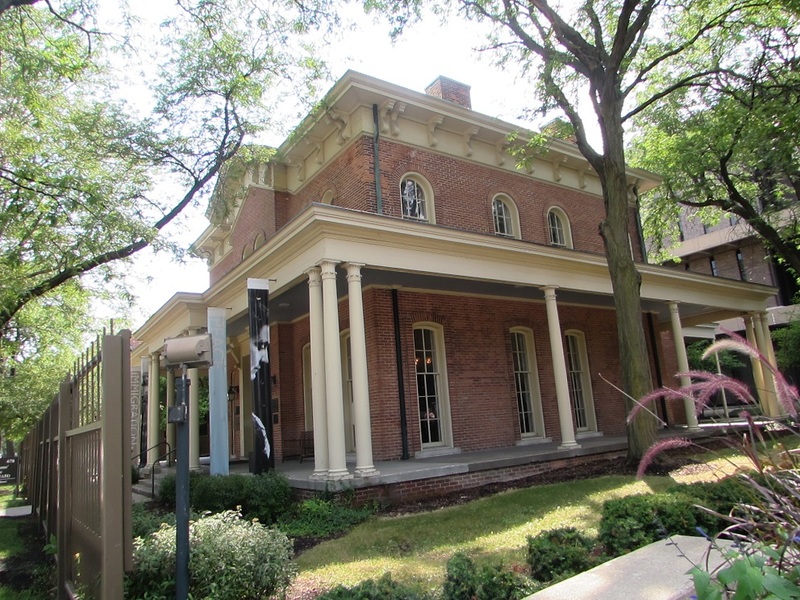 Hull House was built in 1856 for wealthy real estate developer Charles Hull in west Chicago. I’m not a huge fan of Victorian – it’s usually too heavy and ornate for me – but Hull House was much lighter and brighter than the usual. And the yellow bullseye glass in the window = love. Modern, organized social welfare began in the late 19th century, when well-educated, middle-class reformers “settled” in houses (leading to the moniker “settlement house” for their movement) in inner cities to provide services to the poor. The first settlement house was Toynbee Hall in Britain, established in 1884 to help the working poor in London. The movement soon moved to the US. I went to visit Hull House, the most famous of the US settlement houses, last Saturday during an extended weekend in Chicago. I had a vague knowledge of the settlement house movement: that it operated during the early 20th century and had something to do with providing social services in urban areas. I was partially right about that. But it’s the parts that I didn’t know about settlement houses are more interesting. 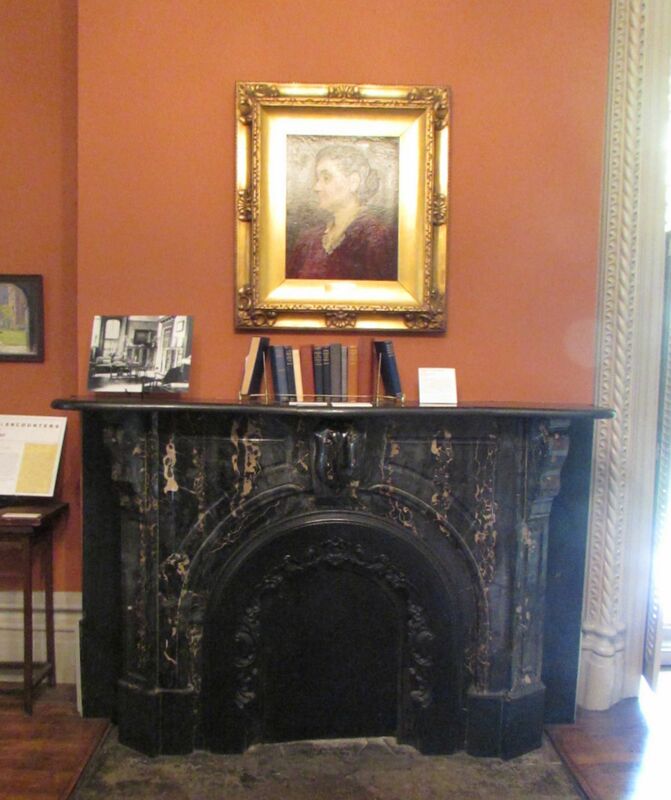 Basic fact #1: In 1889, Jane Addams and Ellen Starr founded the Hull House settlement house in Chicago. By then, the west side neighborhood in which Hull House stood had gone downhill and had become an area housing poor immigrants. Charles Hull gave the deteriorating house to his niece, who in turn loaned it, for free, to Addams and Starr. Addams and Starr then proceeded to buy 13 more buildings to develop a settlement complex that covered almost the entire block. More interesting addendum: Addams and Starr, both from wealthy families (as were most settlement house residents), spiffed up Hull House, taking it back to its glory days. The settlement house philosophy was that the middle class social workers would live in the neighborhood, but in housing that befitted their social-economic class. I suppose the concept of social class was so deeply ingrained at the time that no one thought it odd that a bunch of rich women lived in an Italianate mansion in the middle of squalor. Extra fun fact: residents — of whom there were up to 25 at any given time — got to vote their fellow residents in or out of Hull House, every six months, thus making it a predecessor of the Big Brother reality show. Basic fact #2: Hull House provided social services, such as free daycare, shelter for the homeless, a public kitchen and a public bath. More interesting addendum: They also provided classes. But they weren’t classes in basics like reading, writing and arithmetic (as condescending me expected). They were classes in history, literature and art, to help the immigrants assimilate into America and into the middle class. 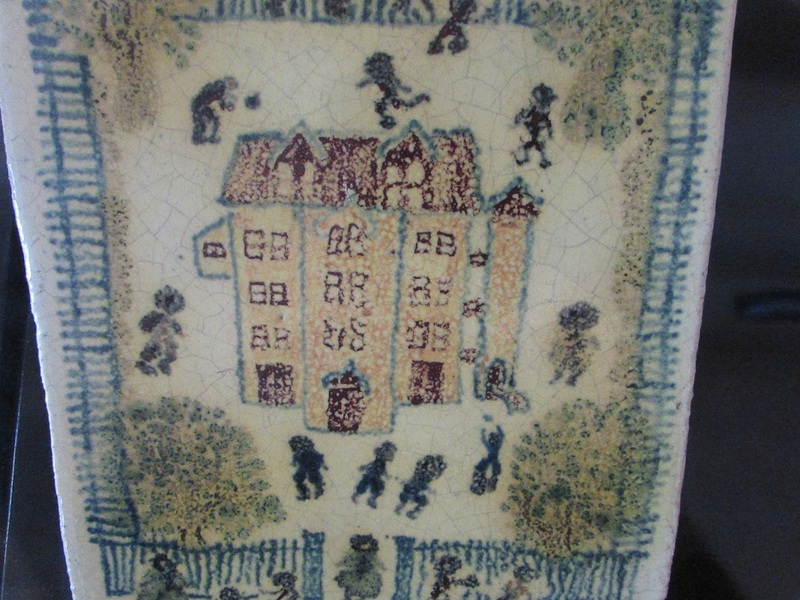 The products of Hull House art classes, particularly Hull House pottery, became world famous. While Addams and Starr are credited with jointly founding Hull House, it was Addams (portrait above) who ended up the … well … star. Addams was the first American woman to win the Nobel Peace Prize (in 1931), Addams who co-founded the ACLU, and Addams who is considered the founder of the social work profession. Addams died in 1935 but the Hull House Association lived on as a social service agency until 2012, when it declared bankruptcy and closed. 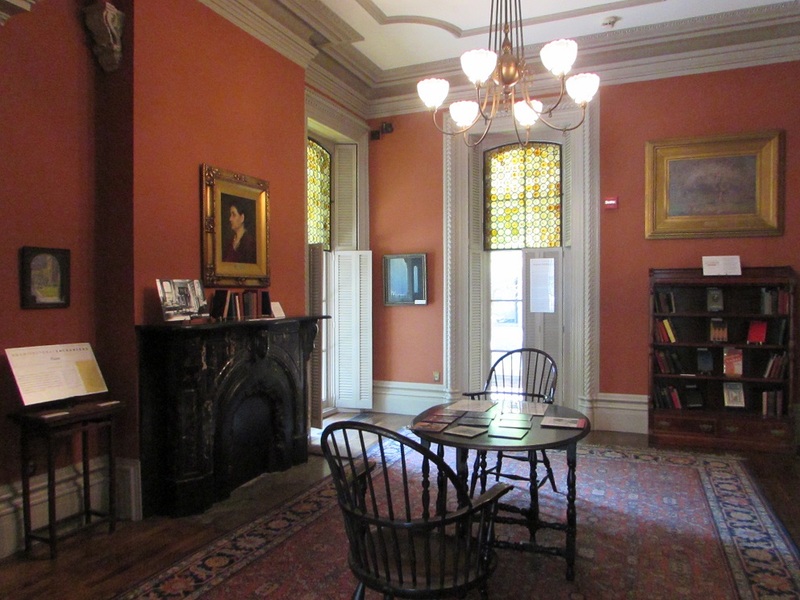 The house, however, had been subsumed by the University of Illinois Chicago (that built its campus around it) in the 1960s and the University’s College of Architecture and the Arts now administers the Jane Addams Hull House Museum. Gallery | This entry was posted in Illinois and tagged Ellen Starr, Hull House, Jane Addams, settlement movement. Bookmark the permalink. Interesting question — I don’t know what got you voted out. I imagine, since it was a one-resident one-vote situation, you could be ousted for annoying the majority. Or mouthing off at the tribal counsel.